Amazing Deals On Top Brands You Must Keep Your Eyes On During The 6th Birthday Sale Of Lazada! Online shopping can never be as satisfying as when you get to shop for the eminent brand during some mega-sale festival. If you also seek for great discount and deals on leading brand items then mark 25th April as a reminder. 25th April 2018 is the day when Lazada, a leading online shopping destination will be celebrating its 6 successful years in the e-commerce industry. Yes, Lazada is turning 6 and on this special occasion, the mega shopping portal will be celebrating a mega-sale event from 25th of April to 27th of April. During this gala celebration time, Lazada will be offering great deals and discount offers of up to 90% off on all top brand items. Not only this, with over 600+ flash deals, you will get to shop top-quality products at comparatively cheaper rates. Moreover, On this gala celebration time, up to 2000 vouchers are to be redeemed that promises you huge savings. So, sign-up and start receiving amazing vouchers to the party. 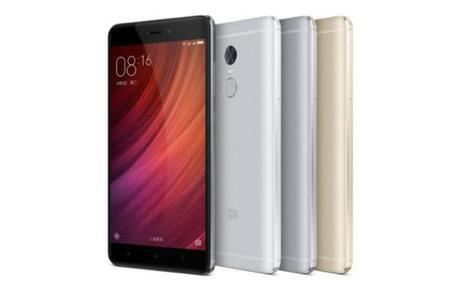 1# Xiaomi (more than 25% off)! Now shop for your favorite Xiaomi products be it a smartphone, Bluetooth receiver, Mi Band or ear-phones, at huge discounted rates of up to 25% off. So, if you desire to buy the latest Mi 6 – picture perfect dual camera phone this April, then this mega celebration festival is for you. Go Shop Your Favorite Xiaomi Product. 2# Philips (up to 70% off)! Philips is yet another leading brand known for making our lives easier with its exclusive high-tech electricals. Be it the home appliances or kitchen appliances, be it the men’s grooming kits or beauty tools, Philips has been providing quality electronics to us. And during the 6th birthday celebration of Lazada, you can shop for all the leading-edge Philips electronics at comparatively best prices and discounts of up to 70%. 3# TESCO Lotus (up to 50% off)! TESCO Lotus, a leading supermarket, an ultimate solution for all your needs. Known for guaranteed best quality products and prices, TESCO Lotus is yet another widely preferred shopping marketplace from where you can shop everything, from home appliances to mobiles & tablets to groceries to furniture & decor. During the 6th birthday celebration festival of Lazada, you will get to shop from TESCO Lotus at up to 50% discounts. 4# Olay (Storewide off up to 40%)! 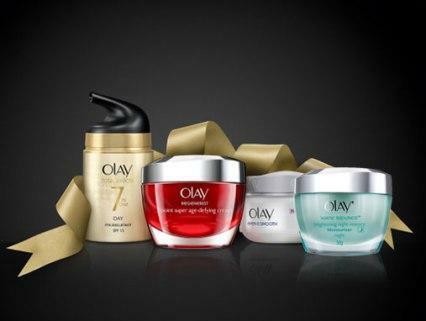 Pampering your skin with 100% quality product from eminent brands like Olay is the best thing you could do. Olay, being the flagship beauty brand known for offering exclusive range of products from serums & essence to eye care range to facial cleansers to moisturizers & creams. On Lazada’s 6th birthday celebration festival buy your favorite Olay products at a huge discount of up to 40%. This means you will get to make great savings on every purchase of Olay beauty product for sure. 5# True Shopping (up to 70% off)! Yet another most trusted marketplace of Thailand, where you can shop almost everything, whether it is fashion, food supplements, sports & outdoor items, electronics, home appliances or kitchen & dining essentials, you will get everything. Lazada, on its 6th birthday celebration festival, is providing huge discount offers and great deals that will help you save up to 70%. So, if True Shopping is your favorite shopping destination, then start wish-listing your desired items to your cart as 25th of April is on its way. So, these are some eminent brand’s deals you need to look out while shopping during the mega celebration festival of Lazada’s 6th birthday. Also, you can further enjoy great savings, by simply redeeming Lazada voucher Thailand. 5 Best Rooftop Spots To Visit In Hong Kong!